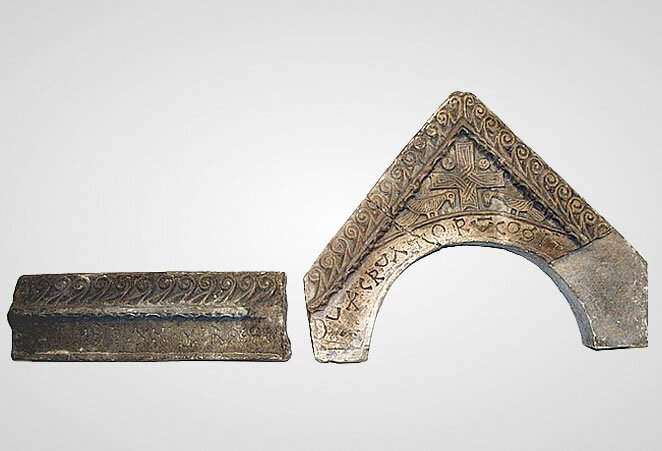 In 879 Branimir, who was not related to Trpimirović dynasty, gets appointed to the throne.1 First plans of the new duke involved finding an ally who could guarantee him safety in the international relations. Regardless of whether he acclaimed the Italian king and Frankish emperor Charles the Fat (877-887), he couldn’t expect much from him. On the other side, there was Basil, who did not react after the murder of his protege because of his preoccupation with the conflicts in Syria and southern Italy. The best obvious solution was to ask the Pope for protection, because of his authority not only in the West, but also in Byzantium. Soon after, Branimir sends a letter to Rome, to the exceptionally politically active Pope John VIII, through John of Venice, a papal delegate who was traveling through Croatia on his way back from Moravia. 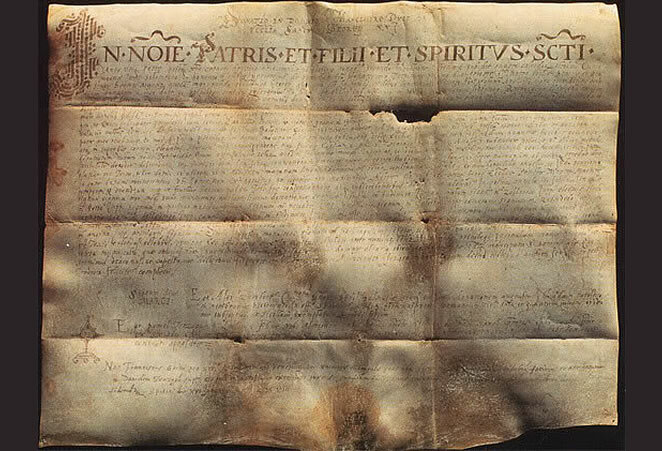 In the letter, he expresses his and the loyalty of Croatian people to the apostolic throne of St. Peter. 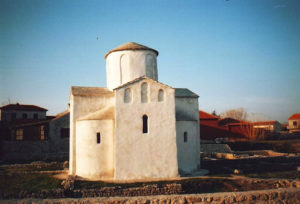 His example was followed by the first known Bishop of Nin, Theodosius. Having seen the letters, John VIII was delighted, so on 21st of May 879 on the feast of Ascension he proclaimed his blessing to duke Branimir, Croatian people and all of Croatian lands. He addressed by separate letters already on June 7 to both duke Branimir and bishop of Nin, expressing great joy because of their rejoining to the Holy Roman Church, and the day after he sent a letter to Bulgarian duke Michael Boris and to Dalmatian imperial cities expecting them to do the same.2 2 The Pope also fulfilled duke’s greatest plea – he confirmed his government, which was a public recognition of the authority of Croatian dukes.3 The political position of Croatia has thus been solved, but not the question of ecclesiastical jurisdiction. 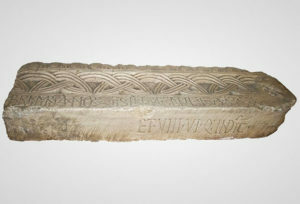 Branimir had a wife Maruša of unknown ancestry with whom he once went on a pilgrimage to patriarchy of Aquileia, where their names were inscribed in the „Gospel of Cividale“, where Trpimir’s name had been also inscribed.13 His reign was marked by construction and restoration of churches, and Croatia has, thanks to him, reached the end of the 9th century as a strong and independent country. 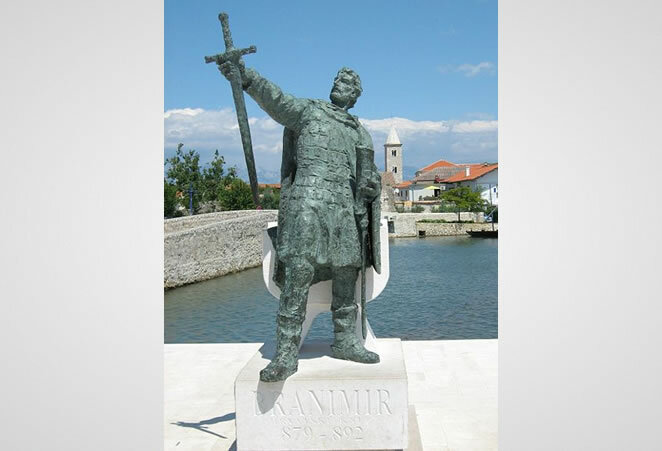 Muncimir, who succeeded Branimir in throne, came to power in 892. He was of Trpimirović descent, most probably the youngest son of Trpimir. He accentuates in his grant that he has come once again to his father’s throne.14 As he strived to keep good relations with the Church in Split, he once, following a conflict between the Aldefred, the Bishop of Nin, and Peter II, the Archbishop of Split, confirmed the same rights as Trpimir half a century earlier.15 Like Trpimir, he often spent time in Bijaće near Trogir. He and his wife, who is of unknown name and origin, both had a substantial court, similar to Frankish rulers.16 He constructed a church in Uzdolje, not far from Knin, and in a preserved inscription he is called princeps, which is a title until then unknown to Croatian rulers.17 The Latin term princeps essentially means champion or ruler, but in medieval terminology it represented ruler honor greater than duke (dux), which is a solid proof of independence of Croatian rulers which was known of outside of Croatia. 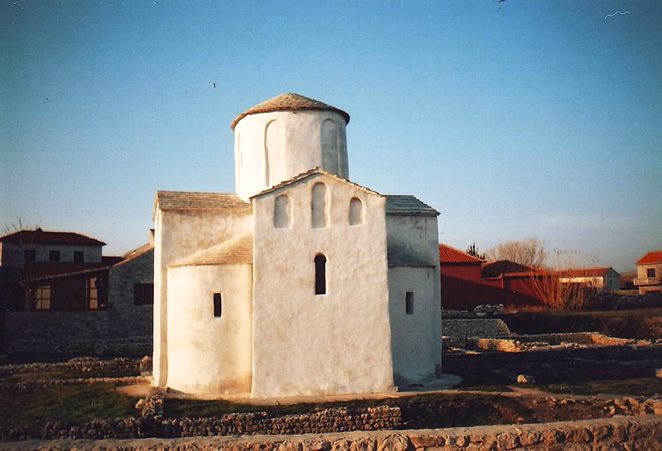 In Muncimir’s time, Croatia was strong enough to interfere in inner struggles in neighboring Serbia. Outcast Serbian aspirants found refuge in Croatian court, which was also the base for their military campaigns. Petar Gojniković, who was helped by Branimir in 891 to banish Prvoslav, Bran and Stefan, who were sons of Serbian duke Mutimir, were provided with no such support from Muncimir. In fact, Muncimir supported the banished brothers, offered them refuge and helped Bran in an attempt to return to power. Such aggressive foreign policy shows how mature and powerful Croatia became under Muncimir. 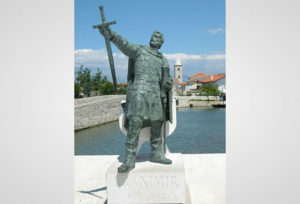 During Branimir’s reign Croatia determined her own future within countries that belonged to Western Europe and by the decision of Pope John VIII Croatia was accepted as independent country of Christian West. 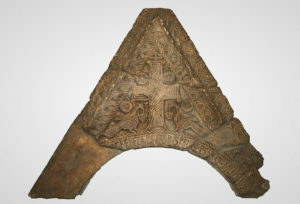 Title of princeps appears in time of Branimir and continues during the reign of Muncimir. In medieval terminology this term signifies royal honor which was greater than honor of duke. 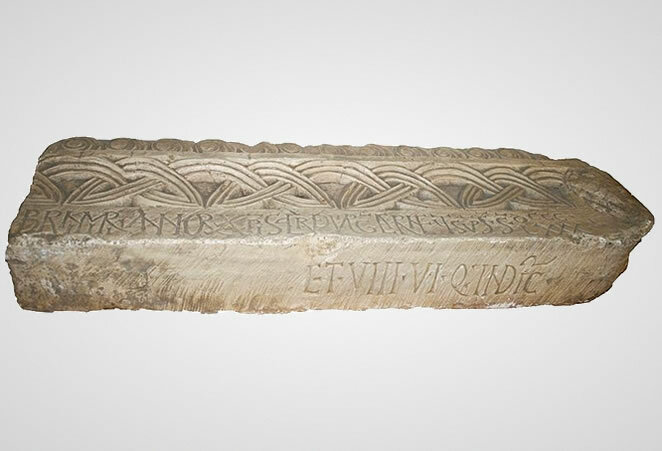 This was a direct evidence of the growing independence of the Croatian rulers.